Ramayana Ballet Purawisata (Mandira Baruga) performed at The Open Theatre every Night, starting at 8 PM to 9.30 PM. Ramayana Ballet Purawisata has won the Award Winner of Indonesian Guiness Book Of Record 2001 for the best Ramayana Ballet in Yogyakarta has been performed nightly for 25 years continuously and became a famous attraction of the tourist object in Yogyakarta. The performance tells about love story between Rama and Shinta against Rahwana, besides the loyalty and the brave act of Hanuman. There is also package for Ballet Performance included special dinner, combine with a beautiful and warm garden atmosphere with great architecture of Java ambience. 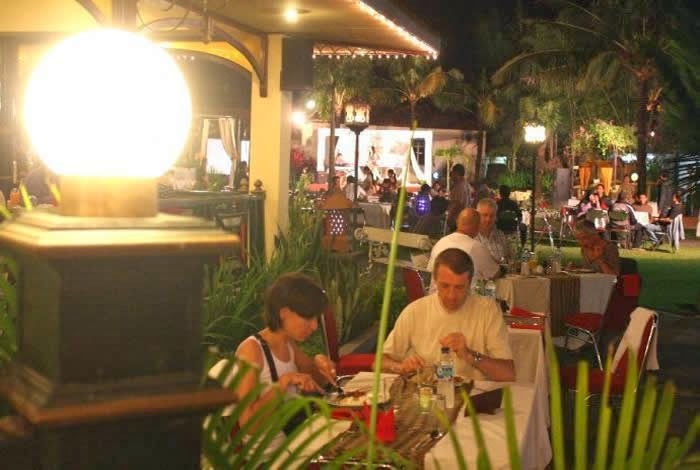 The strains of music accompanied by Javanese Gamelan and Dancer during dinner time at Gazebo Garden Restaurant.